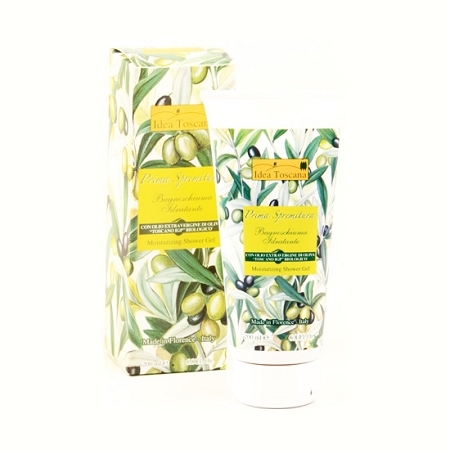 The richness of the formulation, intensified with the utilization of Organic Toscano PGI Extra Virgin Olive Oil, specially studied to maintain unchanged the hydro-lipid balance of the body’s skin, makes this precious formula to a real and a proper sensorial and olfactory experience. The foam that is developed, soft and dense, results fluent and very creamy on the body and its action is hydrating and emollient, ideal also for the very delicate skin. The sweetness of the product results pleasantly perceptible after the rinsing. The olfactory tones which contain the mixture of Essential Oils of Vegetable Origin increases the well-being, stimulating the restoration of the tonicity.